Our Monofilament hair system makes to fit the shape & size of your balding pattern. We are providing full caps also. This Monofilament hair System has a favorite for many Hair wearers for many years. 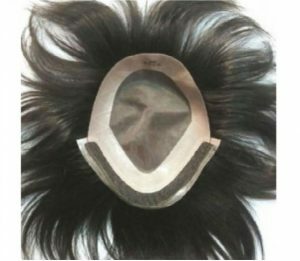 There is the best hair system appearances you will find in a non-lace hair system. If strength and durability are important for you, one of our monofilament hair systems is a great solution. Monofilament hair system also called mono hair system. It is a kind of a one-inch poly skin base around the back and sides. If you are looking for a better balance between durability and a natural appearance mono hair system is best. Monofilament hair system is the most up-to-date property in the wig industry. Monofilament wigs give a hundred percent reliable and unique look. Monofilament is made of thin nylon fabric that looks like natural scalp. Monofilament hair system is a wig or patch but it looks like original hair. For its skin base quality, it comes on number one position for ready-to-wear wig options. < Monofilament is very light in weight and allows your skin to breath. Monofilament is also maintaining the temperature and do not heat your skin. It is the best choice for the people who are facing complete or fractional hair loss because of some health conditions. Monofilament wigs have single knotted hair system with hundred percent real Remy hair. The Light Monofilament with a Full Poly Perimeter, it’s the workhorse of Hair Systems. Monofilament hair System is favorite for many Hair wearers for many years. We use the latest Light Monofilament measure which makes this System fully breathable plentiful extra comfortable than the old Monofilament. Monofilament hair system is designed by top designers of the hair industries. 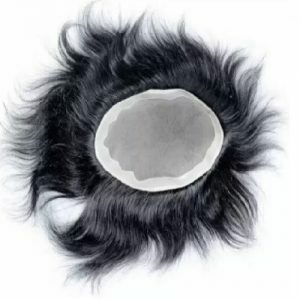 Therefore this system is not only cover your baldness but also give you a completely new look. Monofilament has not recommended for light and medium light hair densities. It looks best with medium to full hair density.